Ventrilo is just another fine VOIP program favored by very many users from all over the world. Most of its users, who are likely also gamers, often enjoy having their voice changed to someone or something else while in games (for example, Darth Vader, Yoda, Optimus Prime Transformer, Chipmunks, Bane (Batman movie)). 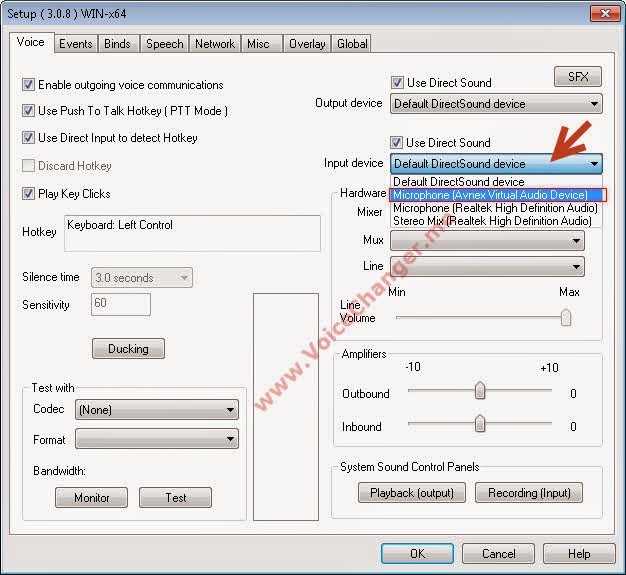 In this post, we will show you how to make AV Voice Changer Software 8.0 Diamond work with Ventrilo using the special audio driver AVnex Virtual Audio Device. Latest version of Ventrilo 3 (client) downloaded & installed. Click on Setup button to open Ventrilo's Setup dialog. * Ventrilo requires users to enter username and server information before allowing accessing to the Setup button. Drop down the Input device selection box and select Microphone (AVnex Virtual Audio Device). Hit Ok to apply the settings and close the Setup dialog box. 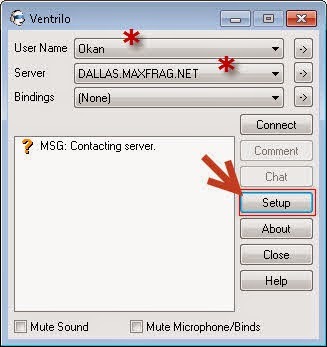 From now on, if you want to have your voice changed in voice chat session of Ventrilo, you just need to run the AV Voice Changer Software program before joining into the chat room. Buy Full version of the Ventrilo voice changing program (AV Voice Changer Software 8.0 Diamond) now!